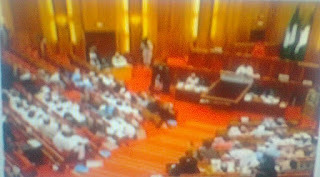 Home / Fuel price / Latest News / News / Senate / Pump price hike: Senate Support FG decision on petrol subsidy removal. Pump price hike: Senate Support FG decision on petrol subsidy removal. The Senate is supporting the federal government's decision to remove subsidy on petrol and the recent price hike of 145 Naira. Deputy Senate president Ike Ekweremadu announced that the lawmakers will meet with members of the Executive to find ways of improving the welfare of citizens.